In life, I believe one of the things one must learn how to do is ride a bike. Not only is it a fun activity but when end-of-the-world scenarios actually happen (you never can tell! ), and all the cars in the world are out of gas, then you have a chance of survival with riding a bike. Joking aside, I feel childhood is incomplete when you miss out the experience of going around the village with your friends, riding a bike. 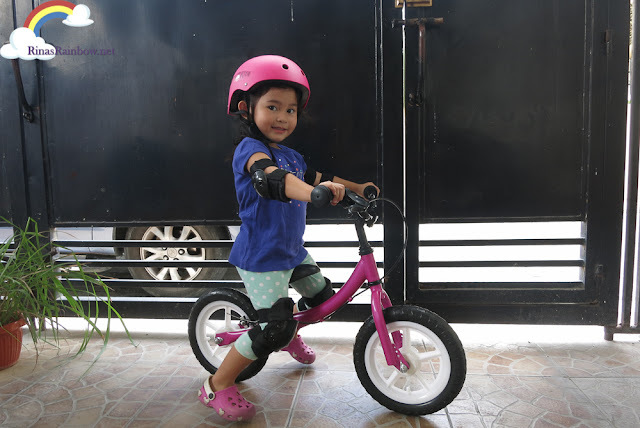 And while training wheels might be the more conventional way of learning how to ride, there's one more way that seems to be really effective in teaching kids how to balance. 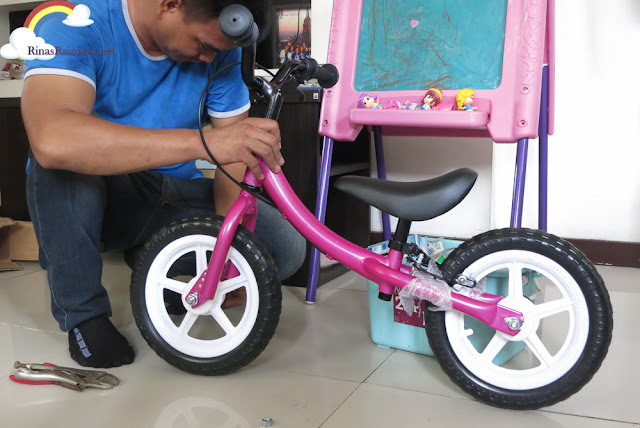 And that's the balance bike. 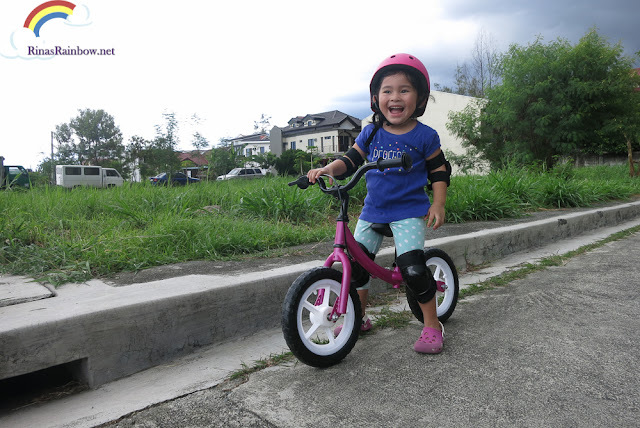 With a balance bike, kids learn how to balance (of course), basically because instead of focusing on how to pedal, they focus more on how to balance. Which is really the most important part anyway. And the sooner they learn how to balance, the sooner they can learn how to ride a real bike! Also, I was delight to learn that Balance Bikes are also a lot safer than the usual bikes. First of all, they're lighter. Another thing is that they are easier to maneuver. Whereas tricycles easily tips over when on unbalanced surfaces. After doing research, I learned that because kids take control of learning how to balance on a balance bike, that they get a sense of achievement and self confidence. And that makes a whole lot of difference and makes a great impact in their characters as they grow up. We got Rain's balance bike from Kids Who Ride. 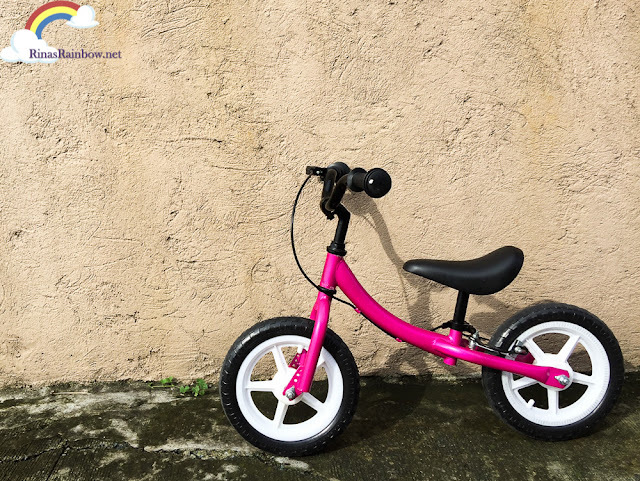 It's got EVA foam wheels so you never have to worry about getting a flat tire, the seat is wide and comfortable, and the height can be adjustable. The frame is a durable steel frame that will last you for a lifetime. And the best part? It's only P2,500! 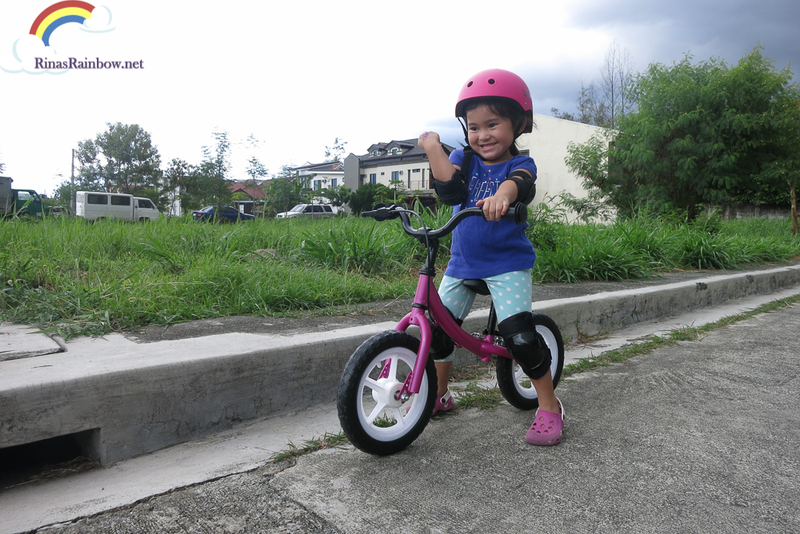 This cute yet sturdy-looking helmet is only P500! Because honestly, protecting your child's head is priceless! 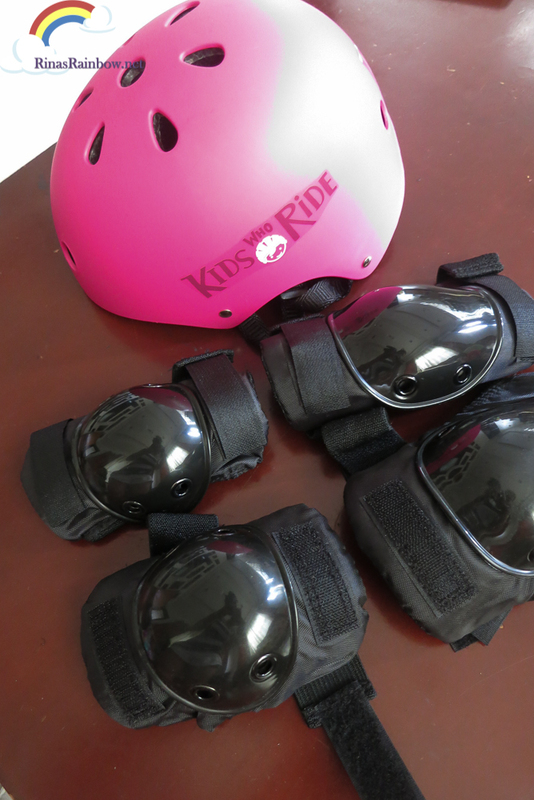 The helmet is for children ages 2-5 with head circumference between 46 and 52 cm. And to make the whole gear complete, throw in an extra P400 for a set of knee and elbow pads for added safety! No more ouchie and scars!